But you’re dearest of them all. When I get thro’ over there. It’s the fairy land, Of the whole world, I say. But I’ll come back some day. As she promised to be true. I’ll be there to always stay. My Grandfather was born in Castle Rock, Colorado in 1887 to Swedish immigrant parents. He lived in Colorado until 1900 when the family of six returned to Cherokee County, Kansas where his father had initially homesteaded 160 acres after immigrating in the late 1860s. It was here that my Grandfather graduated from Columbus HS, taught for a year in a one room school and left to attend the University of Kansas in Lawrence in the Fall of 1908 where he played on the Freshman football team. He returned to Cherokee County the following year and continued teaching for the next few years. He was also part-owner of the Cherokee Co. Flour Mill with one of his brothers as well as a mill in Agenda, KS. In October of 1917, at the age of thirty, he was drafted into the army and sent to Camp Funston near Ft. Riley, Kansas for basic training. On a weekend pass in late-April he returned to Scammon in Cherokee County and was married. 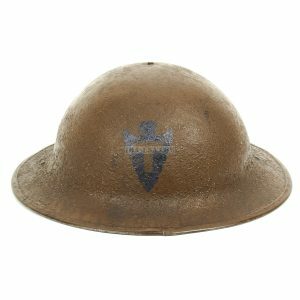 The unit left Kansas on May 25th and arrived at their training area in France exactly one month later on June 25th, 1918. 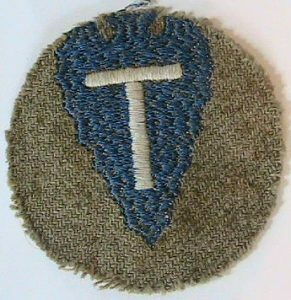 After six weeks of advanced training, the 89th was determined ready for combat and was part of the successful effort to reduce the St. Mihiel Salient in September of 1918. Going over the top in the pre-dawn of September 12th, my Grandfather and the men of Company H progressed over No Man’s Land and headed in the direction of the Ansoncourt Farm a few hundred yards away. During their advance, the commander of Company H, Lt. Wickersham, was mortally wounded. He refused medical treatment and insisted that care be given to his wounded aide instead. Lt. Wickersham died of his injuries soon afterward. For his act of selfless heroism he was awarded the Congressional Medal of Honor. He is buried in the St. Mihiel American Cemetery. After nearly a month in the St. Mihiel area, the 89th was moved to the Meuse-Argonne and were in combat operations by Oct. 10, 1918. Heavy combat was experienced by all units in this densely forested and well defensed region for the next several weeks. My Grandfather was a medic with Company H and after stepping out of the Bantheville Woods on Nov. 1, the start of the final offensive push that would end the war, he spent the next several days working in a first aid station in the small village of Tailly. On November 11, Company H crossed the Meuse River and entered Stenay. The war was over. Following the armistice and just after Thanksgiving, the 89th Division marched through Belgium, Luxembourg and into Germany where they served in the Army of Occupation until late-May of 1919. My Grandfather was honorably discharged from the army in June of 1919 and returned to Cherokee County, Kansas. He continued to teach, owned a small dairy for a few years, had a son (my father) and eventually worked as an Education Field Agent and School Superintendent for the Bureau of Indian Affairs. His career included working with the Sioux and Assiniboine tribes on the Ft. Peck Indian Reservation in eastern Montana, with the Pawnee tribe in Oklahoma and was the headmaster of Carter Seminary, an Indian boarding school in Ardmore, Oklahoma. It must be noted that he was adopted into the Sioux tribe in Montana and the Pawnee tribe in Oklahoma. This speaks volumes as to the kind of person he was. He died at the age of 92. He was the greatest person I’ve ever known. I know as much about my Grandfather’s service as I do for a number of reasons. He had the foresight to buy two history books published by the US Army in the early-1920’s, both on the WWI service of the 89th Division and the 353rd Infantry Regiment. From these two sources (which included notes he made in the margins of many pages) I was able to reconstruct his time in the army, from basic training in Kansas to combat in France. Most importantly, I have a small pocket diary he kept with daily entries as he and Company H fought through Saint Mihiel and the forests of the Meuse-Argonne. All of these resources allowed my wife and I to follow his path through the war when we visited these battle site in the Fall of 2015. Our plan is to return for the Centennial in 2018. The US WW1 Centennial Commission is hosting a new website called Vande Mataram, which literally means “I Salute You, Mother” and is the title of a well-loved patriotic poem about India. The site is run by noted author Suruchi Mohan. Click here to visit the site. Carl, along with Mr. Charles Papenhausen, decided to enlist together April 21, 1917 in Kansas City, MO. Carl at that time was teaching at Hazel Ridge School which is about 2 miles south of where he lived. Carl asked the school to be relieved of his contract. The recruiter suggested that because they both were high school graduates they should enlist in the signal corp instead of the engineers as planned. They were immediately sent to Jefferson Barracks in St. Louis where they received their uniform, inoculations and they were sworn in. On April 29th they went back to Ft. Leavenworth. There it was crowded and the food was very poor. While at Ft. Leavenworth, Carl went to visit his parents several times. Once he walked back to Ft. Leavenworth. From Leavenworth he was sent to Monterey, CA. It was the 19th of December when Carl learned he was heading to the front. That Christmas Day enroute was spent in Tucumcari, New Mexico. Here the group organized a football team and played the local high school football team. Carl sent a telegram from Lawrence, KS to his parents requesting that they meet him in Kansas City, which they did. It was cold and snowy. They detrained at “Liz sur Oreg” on the 12th of June. Now they were at the front. Carl saw action at Chateau Thierry. In fact all of his action was in France. His army medals read “Aisne-Marne” on one bar, St. Miliel on another bar. ( the battle of “St. Miliel” was known to the allies as “D” Day.) another bar read “Meuse Argonne” and the 4th bar reads “Defensive Sector”. 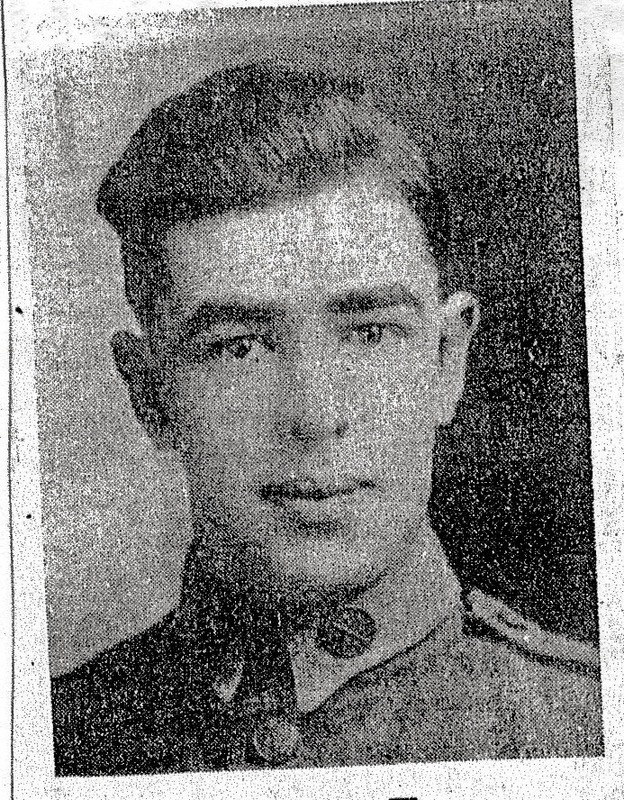 Carl also served in the Army of Occupation from November to July 1919. He served with the 8th Field Signal Battalion of the 4th Division of the regular US Army. He was discharged at Louisville, KY as a Corporal. After the war Carl was a science teacher at East High School in Wichita, KS. He taught there for 32 years. I knew Carl Barnhart. He always returned to his home place for the summer. He and his sister owned the farm near the little town of Neeley. He was known as an amateur astronomer, a gentleman farmer, and a bee keeper. He was known to hire high school kids to help him in his work. He also had several unique cars. The one I remember was a 1938 Layfayette. He would loan this car to Bob McKone and we would go to Lawrence to the movies. Carl never married and his estate was auctioned. Joseph Oklahombi (1985-1960) was a member of the Choctaw Nation and an Oklahoma National Guardsman who served in Company D, 1st Battalion, 141st Infantry, 36th Infantry Division. He is recognized as one of the Choctaw Code Talkers but that story has been covered before. The 1st /141st later became the “Lost Battalion” of WW2, also another story. On October 8th, 1918, during the Battle of Blanc Mont Ridge, which was in the Champagne Sector and was a French-led diversion to the main American attack at Meuse-Argonne, Private Oklahombi led 23 other soldiers who captured an important strong point near Saint-Étienne-à-Arnes and held off counter attacks, killing about 79 Germans and capturing 171 in the action. Oklahombi received a Divisional Citation (which was retroactively changed to the Silver Star after 1925), and the French Croix de Guerre with Palm, the highest level of that award. At this time the members of the Choctaw nation were not U.S. citizens. Here are two excellent biographies of Joseph Oklahombi, one from the Doughboy Center and the other from our sister state historical society. On the same day, about 40 km to the east at Chatel-Chéhéry in the Argonne Forest, then-Cpl. Alvin C. York, a draftee from Tennessee serving with the 82nd Division, led seven other men in an attack that killed 28 Germans and captured 132. York became America’s greatest hero of the war for this action, receiving the Congressional Medal of Honor, the Distinguished Service Cross and many foreign decorations. With the end of the contentious 20th century only 15 months away, World War I seems ancient history to most Americans. Nearly all of the doughboys who went to France with the American Expeditionary Force are gone now, joining their long-dead comrades in final rest. Where once shelves groaned beneath the weight of thousands of books about that 1914-18 conflict, today only a handful remain relatively available. So when Kevin Brown cornered his mother to ask about his great-uncle Harry, Faye Converse Brown decided to do something about it. The result is “Letters Home,” a large-format, 108-page trade paperback subtitled “The true story of Lt. Harry Frank Hunt World War I.” It is liberally illustrated with old photographs, reproduced letters and official documents. “I knew there were some letters that my mother had kept, so I asked my brother if I could use those and try to get them published,” the author explained from her home in Tucson, Ariz.
She never knew her uncle Harry, but she had heard stories of him all of her life from her mother, Nellie, who adored her big brother. 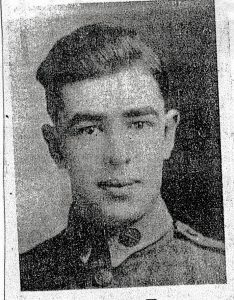 A 1913 graduate of the veterinary school at Kansas State Agricultural College in Manhattan, 2nd Lt. Hunt died Feb. 5, 1919, of carbon monoxide poisoning in his tent at Sampigny, France. Others in the 69th Infantry Brigade, to which he was then assigned, said the vent pipe apparently was partly choked and allowed enough carbon monoxide into the tent to kill the sleeping man. Survivors included his mother, Annie, a widow who had moved to Manhattan from Fredonia years earlier and opened a boarding house to enable her two children to obtain a post-secondary education, and sister, Nellie, four years younger. A sweetheart in Wichita named Gesinda (called “Gussie”) dropped out of sight of the family after Hunt’s death and was never traced. Born at home on a Wabaunsee County farm, Faye Converse earned a degree in journalism and home economics from KSAC in 1950 and worked for Household and Capper’s Farmer magazines in Topeka before her marriage to John L. Brown III. They and their sons Kevin and Steven moved to Marysville in 1963 and in Tucson in 1984. In Arizona, Brown spent more than 10 years freelancing for publications there. “My husband died of cancer two days after last Christmas,” she said. “So I was going to let the book go, but a friend in the Society of Southwest Authors took me by the scruff of the neck” — and a local firm rushed the self-published book out in two weeks, in time for a January SSA writers’ conference. “That was really a thrill,” Brown said. “I’ve had many good comments, good book reviews from down here, the Fredonia paper, the Manhattan Mercury, several places around. I would really like for people to know the true story of Lieutenant Hunt because his experience was a little different, being in the Veterinary Corps. “And when I went to the big book stores in Tucson, there were no books on WWI, so I think it fills a niche there,” she said. Copies are available from the author at 7425 E. Serenity Lane, Tucson, Ariz., 85750. The letters also include a variety of his impressions from France. Of his voyage across the Atlantic, Hunt reported waves 30 feet high that “now and then break over the side,” and admitted it was difficult to get use to life aboard a vessel that pitched 25 feet from end to end and rolled half that from side to side. He commented about the wooden shoes worn by “the poorer class” of French men, women and children and the “racket” those made on the sidewalks; about the narrow, crooked streets and the great variety of carts and wagons drawn by horses, dogs and peasants. “The people here are about 100 years behind the times and it’s sure amusing the way they do things,” he summed up. He was applying for discharge at the time of his death. Arthur Allen Hill was born on November 26, 1878 in Kansas — probably in Lawrence — to parents who had been born in Virginia, raising the question as to whether or not they had been slaves. A city directory indicates that Arthur was a gardener before the war, but one who was college educated. Census records indicate that fact, although there is no indication of where he attended college. This was enough to qualify him for the officers’ training school, where he was commissioned a 1st Lieutenant. He served in Company K of the 372nd Infantry, 93rd Division. He came back to Lawrence after the war, where he and his wife, Maude, operated a laundry. Hill died in Lawrence on September 21, 1949, and is buried at Oak Hill Cemetery. Of the Kansans who attended the officers training school at Fort Des Moines, Iowa, Lee J. Hicks was the only one who would be commissioned a captain — all the others were 1st or 2nd lieutenants. Of 626 commissions given, only 104 were for captains. Attending the training school required either being a college graduate or a non-commissioned officer. In Hicks case, he was a graduate of the now defunct Western University at Quindaro. From there he went to Tuskegee University, where he reportedly was the secretary to the brother of Booker T. Washington. Hicks was born in Kansas — apparently in Ottawa, where he was raised — on September 13, 1893. His war service was as a captain in the 317th Ammunition Train of the 92nd Division. After the war he was the financial secretary at the Industrial & Education Institute in Topeka, which as the newspapers described it, was “for colored people.” He married in 1921 to Castella V. Reed. By the 1930 Census, he was in Los Angeles working as a clerk in the post office. Hicks died in Los Angeles on August 3, 1972. I believe there is a possibility that his descendants in the Los Angeles area might see this, and if they do, I invite and encourage you to tell us more about your ancestor–with our thanks!